There will be a lot of political commentary and analysis now that President Obama has given his State of the Union speech, and most of this will focus on government policies and the proposals set forth by the President. Senator Joni Ernst (R-IA) has given the Republican response, but it would be a tremendous disservice to the Christian community if there was not a Christian response to the SOTU because the Apostle Paul tells us to examine all things, and hold fast to what is good. How can we know if government policies and philosophies are destructive or good without first examining them with the light of God’s word? The world’s standards are arbitrary and capricious; what’s right today will be wrong tomorrow, but the word of God is unchanging. In order to institute and maintain good government, its philosophies and policies must align with and honor the word of God. There are many things that could be said about different points made in this address, but there is one important short passage that needs to be discussed. This is the thesis statement of the SOTU and the most worrisome statement this address for three reasons: it wrongly identifies what the crisis is, it claims the crisis is over, and gives us a false assessment of the union. This is not surprising in part because the views expressed in the SOTU are horizontally oriented. What I mean by this is that these claims are based only on a worldly point of view; such a view only concerns itself with what can be seen and perceived by the senses. The SOTU lacks any vertical orientation at all, which takes into account not only what we can see, but what is invisible and spiritual (Hebrews 11: 1-3). The vertical orientation comes from the word of God, and when we shine the word of God on things, we truly understand their depravity or merit. Any leader who strives to fully inform an audience about the true condition of a country must include a vertical orientation in his presentation, otherwise his efforts are of limited value, and in the case of an unscrupulous person, can be outright deception. We do have a crisis, but it is not the crisis President Obama makes it out to be. Everything the President listed in his SOTU identifies the crisis as a socioeconomic one. This view overlooks spiritual events that have recently occurred in this nation’s history. Traditionally, our position between the Atlantic and Pacific oceans has isolated and protected our country. For example, while Europe suffered terribly from the ravages of war in WWII, there was only one casualty attributed to enemy action on the continental US. All of that changed on 9/11, when Islamic terrorists hijacked commercial jetliners and used them on suicide missions which killed thousands of people. No enemy had ever caused such destruction before in our history, and when the stock market finally reopened after the attack, one of the worst stock market crashes in US history occurred. In 2008, an even bigger stack market crash occurred, and these crashes had an adverse effect on the economy of the nation. These seem to be random events from a worldly perspective, but when you include God’s word in your analysis, you get the whole picture. The events of 9/11 and 2008 occurred exactly during a seven year cycle known as the shemitah. This means we cannot attribute the resulting bad economy solely to socioeconomic factors; there is a definite spiritual connection to these events. They were set in motion by spiritual events and are directly linked to them. The origin of our crisis is spiritual and does not originate from socioeconomic factors as President Obama argues. The crisis this nation faced was not a bad economy, rising unemployment, low high school graduation rates, oil dependency, a broken healthcare system, or the war in Afghanistan. The real crisis this nation faced is a spiritual crisis, not a crisis of a bad economy etc. This nation has been steering a course that has been taking it farther away from God for a long time. There may be some who object and say that the improving numbers reported in the SOTU must mean we are getting better. From a worldly perspective, these factors seem to indicate that better days are ahead, but they don’t tell the whole story and given Divine revelation, it would be shortsighted and naive to believe they did. The cause of our national problems is a spiritual one, not socioeconomic; therefore unless this nation repents and reconciles with God, the crisis is not over. A nation that continues to be at variance with God is always in danger of His judgment. The President has told us that our nation’s economy is getting better, ergo “the State of the Union is strong.” That makes sense from a worldly perspective, but it is non sequitur from a spiritual perspective. Let’s not forget this example from history. Canaan was a land flowing with milk and honey. If we described Canaan using today’s language, we would say that Canaan was an economic miracle. They had bumper crops year after year. The economy was constantly growing and showed no sign of slowing. They weren’t dependent on other nations for anything. They had strong defenses against invasion that were state of the art for their day. If we looked at Canaan from a horizontal, worldly perspective, they had everything going for them in their favor. The problem is, their spiritual condition was so bad the Scriptures said the land itself couldn’t stand them and vomited them out. Canaan was economically prosperous, but they were in a spiritual crisis because of their depravity. The wealth of Canaan was increased so it could be transferred to another nation. When Joshua crossed the Jordan, none of their strong defenses could stop the invasion. The historical example of Canaan shows us the futility of believing that there is a correlation between strength and a strong economy; a nation is truly strong only when it enjoys the blessing of God. When God watches over a nation, the people are safe from harm and prosperous. If they do go out to war, they win impossible victories over armies that are greater than they are. If we don’t have God’s favor and blessing, our union will never be strong. The question is, does America have God’s blessing? America is repeating the same pattern of disobedience that ancient Israel followed. When Israel did what was right in God’s eyes, the nation had rest from war and was prosperous. God exalted Israel and brought their enemies down. But when Israel rebelled, God brought Israel down and raised up enemies against them. When this happened, the land suffered from defeat in war, harsh occupation, destitution, oppression, and injustice. We see this pattern repeated again and again in the book of Judges. The same thing is happening now; America’s rebellion and its declining fortunes are linked. The true measure of a nation is found in the spiritual health of a nation, not socioeconomic indicators. We can see very quickly that the state of America’s spiritual health is on life support. Absolute truth is regarded as a myth, and under the capricious tutelage of political correctness and its weaponized stepsisters of equality and tolerance, the values of the American people are reversing; what was once considered good and esteemed is now regarded as evil, and vice versa. People who rage against God utter the same arrogant words that Pharaoh spoke to Moses: “Who is the Lord that I should obey His voice…I do not know the Lord” (Exodus 5: 2). The concept of “love your neighbor” and “love your enemies” was thoroughly trampled as demonstrated in the Ferguson riots. There is ample evidence of America’s declining spiritual health in the daily news, and it is a sad thing to witness. It is looking more and more like the republic our Founders fought to give us will be lost and replaced by a tyrannical successor. There are three things we need to include in our solution to America’s situation. First, we must understand the times we live in. If you have done your math, you know that 2015 is seven years from 2008, and it is a shemitah year. This is also not just any shemitah year; four blood moons (also known as a tetrad) are part of this shemitah cycle. This is also the third shemitah year in our season of grace. If we combine this fact with the signs in the heavens, it is time to get serious and prepare for what is going to happen. Second, we must not delude ourselves to believe that just because the President cites economic improvement that our problems are over. The fact is, America’s worst crisis is on the horizon, and it will come regardless of what the economic indicators say. When the President says “the shadow of crisis has passed,” he is really saying “peace and safety,” but we know that judgment will fall suddenly when peace and safety are proclaimed. This country will be shaken as never before in its history. Everything that people have put their faith in outside of God will be shaken. Pensions, savings, stocks, and retirement plans will be wiped out. Abundant food and water supplies will become scarce. The dollar will fall as the world’s premier currency. Government will throw off the restraints of the Constitution and become tyrannical. Government surveillance and control of the people will increase, and dissenting voices will be ruthlessly suppressed and confined in detention camps. God gave Israel a season of grace to repent and reconcile with Him, but when that season was over and Israel didn’t repent, God’s judgment came. America is also in a season of grace after 9/11, but that season is approaching its end. Time is running out to make amends, and the Daniels among us who can read the writing on the wall need to prepare for what’s coming. Third, we must realize that a spiritual problem will never be solved by any government economic policies or legislation. A spiritual problem will only be solved by a spiritual solution. The solution is national repentance and reconciliation with God. When Senator Daschle quoted Isaiah 9: 10 as part of America’s official response to 9/11, he really put a curse on us. The time has come to cancel this curse and seek the Lord with our whole heart. This is the true state of the union, and I urge all our leaders to take advantage of this generous forgiveness that God offers while there is still time. Christians, please continue to pray fervently and effectively for this nation to be saved. Be wise virgins who have enough oil on hand for the time ahead; the darkness is coming when no one can work. Fulfill your ministries, and prepare the people like Joseph did. He faithfully prepared the people for famine before it happened, and as a result many people were saved alive. 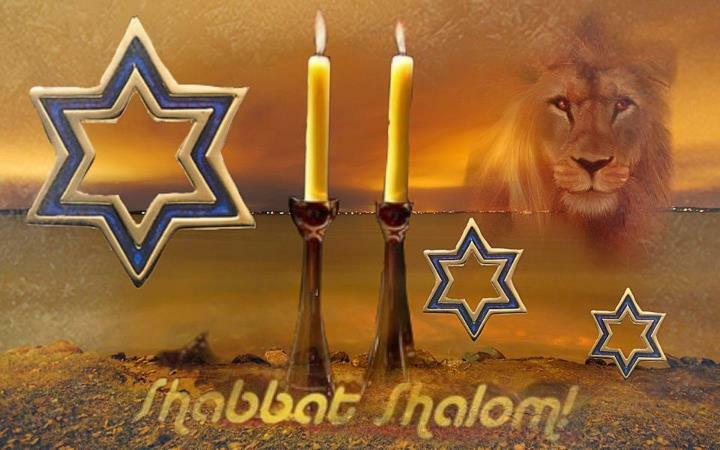 Be found busy with the Lord’s business, and Shabbat shalom everyone!